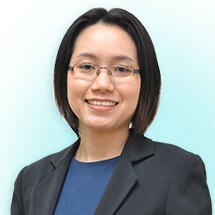 Dr Anne Yeoh Chiou Yen is a residence consultant paediatrician practising in Sri Kota Specialist Medical Centre. She is experienced in handling children and infants. She believes that all children are unique. She works closely with GPs, community groups and allied health professionals. She is a mother of four children. She is passionate about child health and parenting. As a mother and paediatrician, she understands the frustration of parents or caretakers in taking care of children and sick persons. She kicked off her dream by developing product that aims to improve the quality of home care for everyone.